Using Ozeki Phone System XE it is possible to make an automatic reminder call before your appointments. You only need to use an OzML script and HTTP OzML. To do this, a simple, self-made application should send an HTTP request at the given time to the HTTP OzML. In order to make an Appointment Reminder using HTTP OzML, you need use a scheduler, a text file and some PHP files. The text file contains the appointments (in this format: "dialed number;location of the meeting;date of the call"), the php file will read the appointments from the text file and notify the Ozeki Phone System XE to call the dialed number and read the text out. Finally the scheduler will open the PHP file intermittently. In order to run a PHP file, you need to use a webserver and PHP environment. In this example we use Wampserver development environment, because it also contains Apache webserver and PHP for Windows. First download Wampserver from the official website of Wampserver and then install it. After you have installed it, you need to save your PHP files to c:wampwww. First open your Ozeki Phone System XE and login to the system. 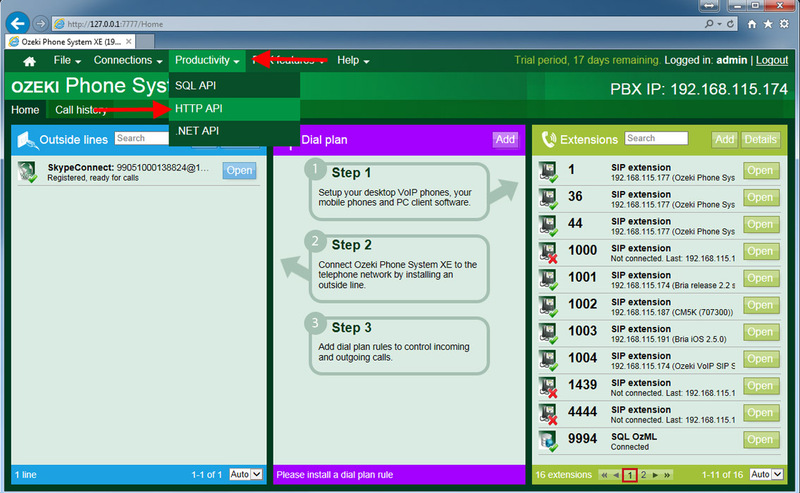 After you have logged into the phone system, click on Productivity and select HTTP API (Figure 2). On the next page, click on Configure, and then under the Advanced tab, specify the IP address of your phone system and the Listen address where it is listening for incoming HTTP requests (Figure 3). 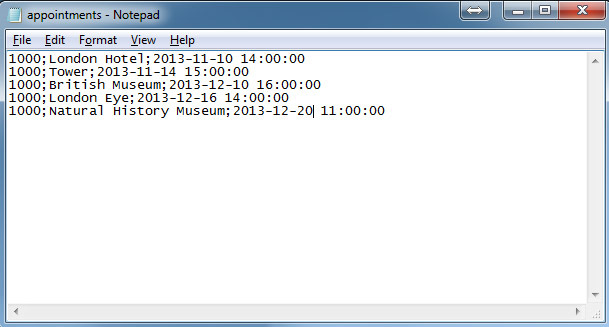 First create a handleappointments.php file (c:wampwwwhandleappointments.php) that will be opened by a task scheduler. This PHP file will handle the list of the appointments, and in case of a need it sends an HTTP request to your Ozeki Phone System XE that initiates a call (caller.php) with the parameters of the event. You can see below an example for the handleappointments.php file that should be written. The following figure shows the proper format of the appointments.txt file. You need to create it in the same directory where the other PHP files (c:wampwww) are created (Figure 3). Now create the caller.php (c:wampwwwcaller.php) file that is being called if an initiation of a reminder call is actual. The next example is responsible for sending the parameters of the call to the HTTP OzML Extension. Read information about the call parameters at the following page. 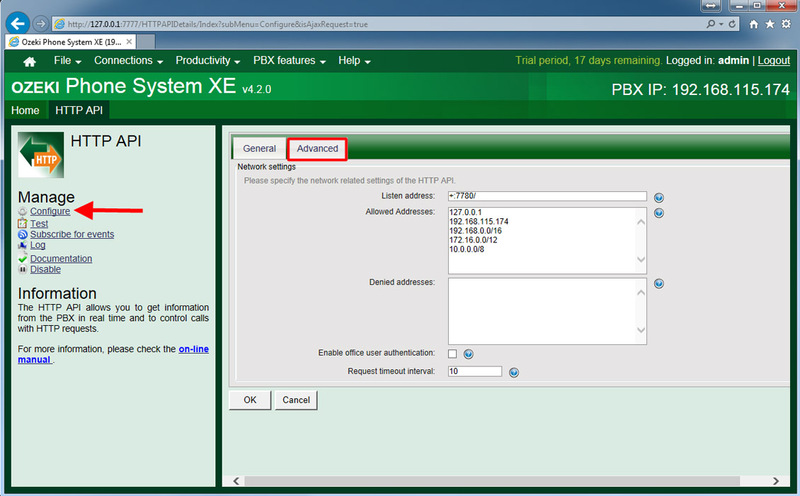 Please change the ozekixepbx.ip text to that IP address where the Ozeki Phone System XE is installed. The localhost is the address where the sample application is running. If we do not have an installed API Extension than a built-in System extension will manage the call. If you would like to control route the way of the outside calls you need to install an API Extension. API Extension is a standard extension that provides a phone number for your client application connecting through Ozeki Phone System XE. Using the API, you can build call assistants, call center clients, IVRs or any custom Voice or Messaging application. If you click on this page you can find the full description of the API Extension and the installation of it. If we installed an API Extension than we can manage of the routing roules of this extension. The Ozeki Phone System XE makes it possible to connect several types of devices to it, and make dial plans which handle the Call routing for those devices. You can find more informations about the routing rules if you visit our How to setup Call routing page. When the called person picks up the phone, the HTTP OzML Extension sends a request to the address of the previousUrl parameter. If a valid OzML script comes back from there, it executes the commands in it. You can see an example for the callconnected.php application below. "You have appointment at ".$_REQUEST['AppLocation']." at ".$_REQUEST['AppDate']." You can find examples-written in other languages- for how you can initiate a call via HTTP on the following page. 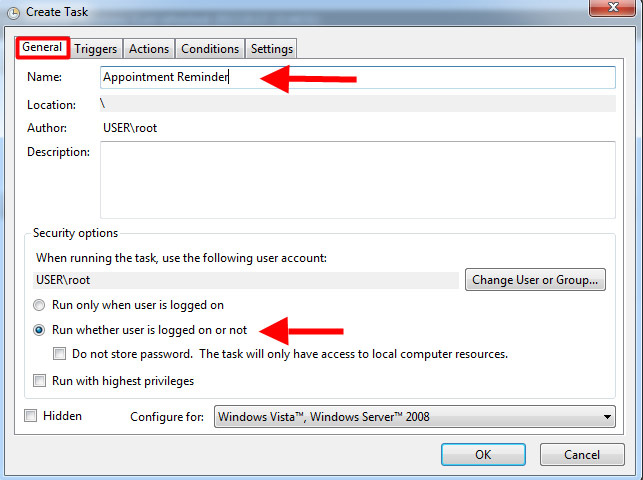 In this section you can see how to add and configure a new task scheduler in Windows. 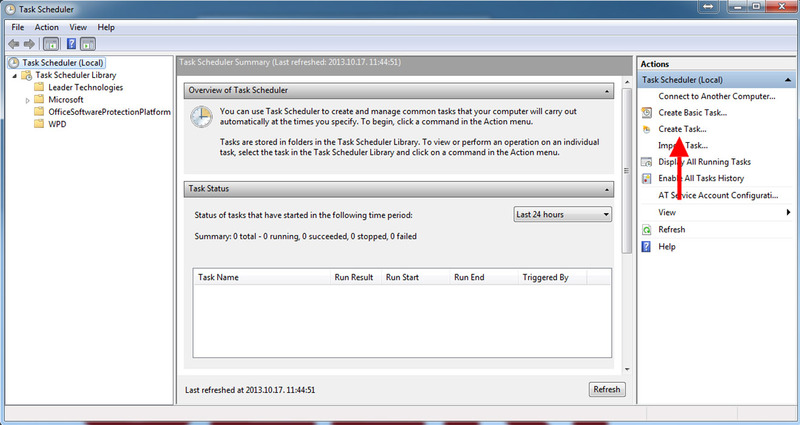 First create a bat file that will be opened in every 10 minutes by the task scheduler. This bat file contains the website address where your PHP file is located (Figure 4). 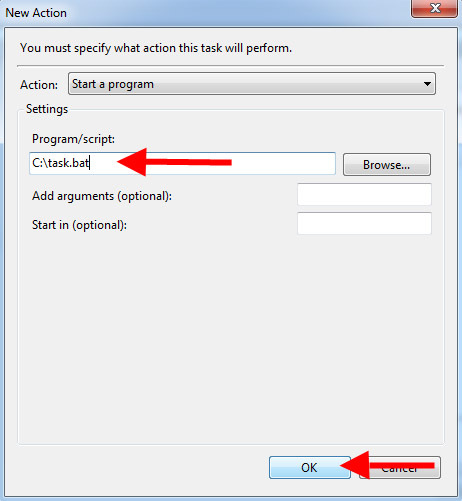 After you have saved your file, open the Task Scheduler, and click on Create task button (Figure 5). 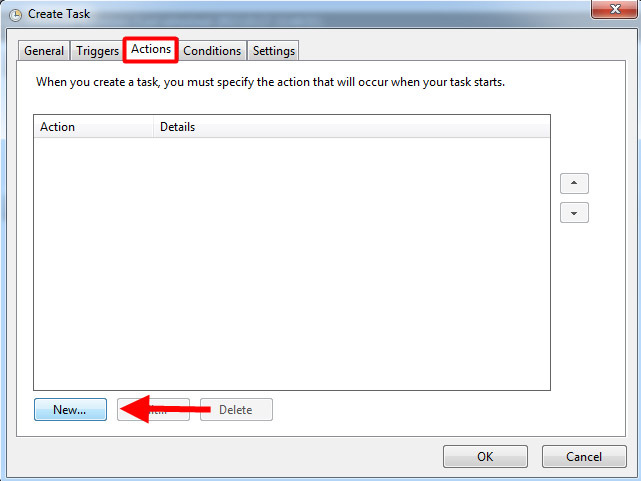 Under the General tab provide a Name for the task and choose Run whether user is logged on or not(Figure 6). 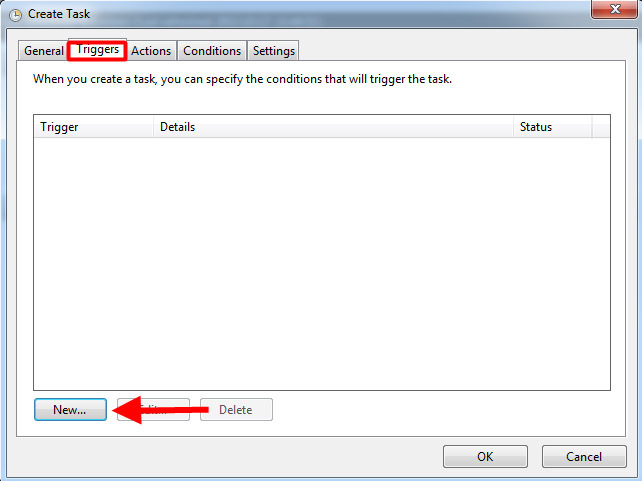 Under the Triggers tab click on New to create a new task (Figure 7). In the next window, select Repeat task every 1 hour where you can configure how often your bat file will be opened. 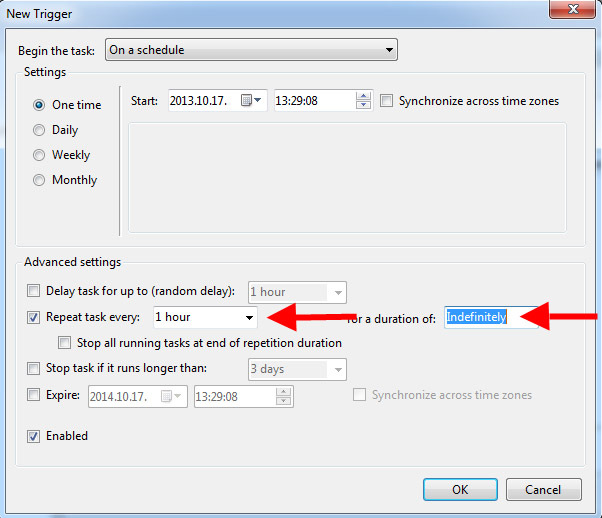 In addition you can setup the duration of the task. If you have configured the task, click on Ok button (Figure 8). If you click on Actions tab and New button, you can setup which programs will be opened in the given date (Figure 9). In the next windows select the task will be performed. Select Start a program and specify the path of the bat file (Figure 10). Now your system has been configured for making automated calls based on the text file that contains the appointment reminders.